Through an increasing demand to the financial sector and offshore zones itself, it was a need to create the Financial Services Authority with a responsibility to regulate non-bank, certain entities in the financial sector and control the international financial services industry in St. Vincent & the Grenadines. 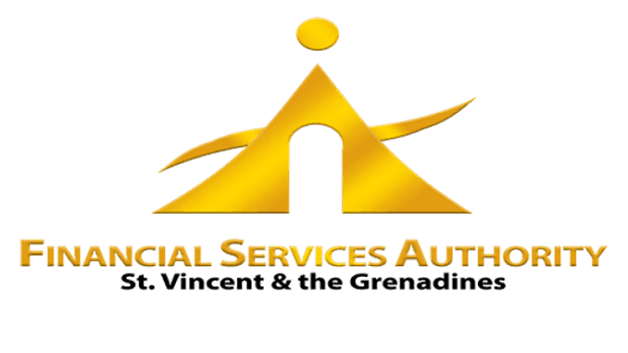 The SVG FSA was established 7 years ago, November 2012, with a mission as the authority mentions on its official website, to develop, regulate and supervise St. Vincent and the Grenadines as a secure and competitive financial center in the international and the financial sector in accordance to best practices, through the promotion of integrated operation. However, the Forex Trading or Brokerage activity, which is the main topic in financial investment world also rapidly growing in its demand, does not have a solution of regulation of Forex, CFD and Binary Options in SVG. The regulation or even licensing of the Forex business is not a part of the SVG FSA activity, as stated by the official warning. “There are financial institutions out there that falsely claim they are registered or licensed in our jurisdiction. Their purpose for doing this is more than likely for illicit reasons and potential customers should be very cautious about conducting business with them. Why not trade with an SVG FSA registered broker? Is there a way to submit complaint to SVG FSA? St Vincent and the Grenadines of SVG is an island in the Caribbean, which became quite a known location for its tax haven offering out of the international companies. St Vincent is an attractive solution among the financial companies and those businesses that for the reason or another choose to operate through an offshore company. As the jurisdiction itself offers easy to achieve setup demands through very quick, simplified process, while the firm does not necessarily need an office in SVG, allowed to maintain low initial capitals, no strict establishment rules or requirements, yet allows running a global business. Furthermore, there is no sharp regulation or overseeing of the company operation implemented. 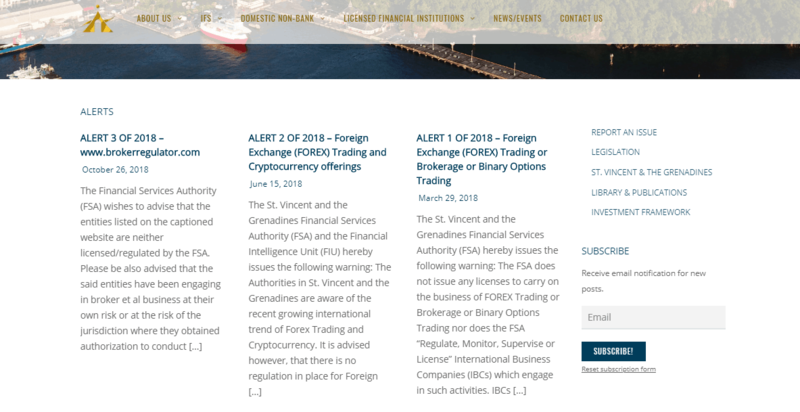 In terms that the Forex business in SVG is not regulated in St Vincent, the SVG broker can run its activity, provide trading environments and accept forex payments through credit cards, but is not overseen. Considering the fact that SVG FSA enables low set up requirements with No business planning, No management interview or check of the company background. While the registered company operates with No Handbook, No Regulatory Reporting, No Impose of Fines in case of its malicious service and there is No any protection implied alike Fund Segregation, Negative Balance Protection or Compensation in case of insolvency. The evident question is: Why to trade with SVG Broker? Therefore, apart from beautiful seaside beaches, the SVG with its offshore environment became a known hub of financial firms, while the legal environment can be quite loose towards the Forex business and brokerage itself. 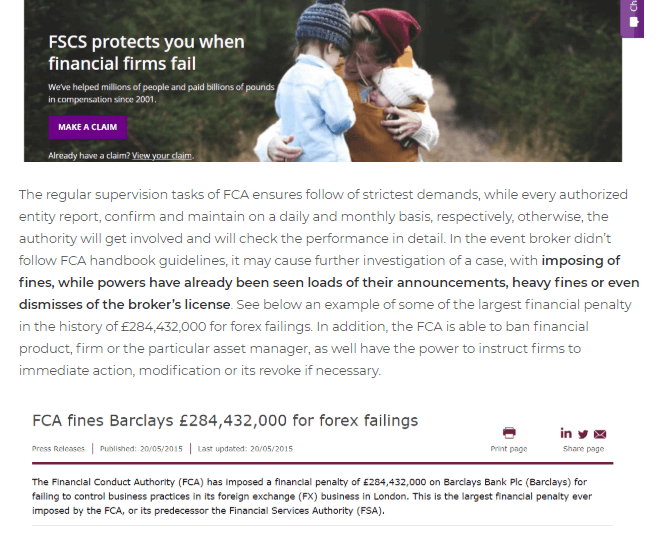 For better understanding check out the UK’s FCA Authority and its sharp regulation, overseeing of the brokerages and heavy fines in case of the company fail to obligations. Obviously, the investment and trading service is a popular trend, however in order not to fall under the scams and frauds, which are in fact growing daily, you should carefully choose a company before any funding is done. The Forex and derivatives trading as a decentralized market can be a highly risky opportunity if the company delivers trading service without strict overseeing from the industry authority. For that reason, we always advise choosing among the most reputable and of course heavily regulated brokers and to protect yourself from potential scammers. For instance, as an example learn and compare eToro offering and heavy regulation. To get more knowledge, you can also read our article Forex Trading Scams and know how to protect yourself, with a deeper understanding of how frauds work. In addition, most often an offshore broker alike SVG Brokers are associated with other companies while the offering varies slightly from the majority of frauds, yet the result is equally disappointing. The major concern about lack of regulatory oversight places SVG companies much under the recommended safety line, in essence, you only get the honest word of the company. We have received many user reviews, while the majority of them are obviously negative. What are the Complaints about? Rejects client withdrawal, meaning a client who puts money cannot get profits or funds back. In that scenario, SVG FSA will not be able to assist through customer protection, to advise or take action further, the trader stands completely alone at that point. Therefore, there is no way to complain or receive any support from the authority. In addition, there are many fake brokers stating their address, regulation or registration at SVG, while pretending to be a legit firm. The SVG authority recognized that potential and warns potential or already engaged traders that in case of trading with an unlicensed and unregulated company the trader using the services at his own risk. As an unlicensed or offshore broker most often not subject to any supervision of practice or regulatory laws the company may easily mislead or false any information or the service providing itself. Currently, we have reviewed many Forex Brokers from St. Vincent and the Grenadines, while none of them were included into the list of trusted or brokers with a recommendation of safe trading. The only companies that may be trusted are those brokerages that hold additional licenses from the reputable authorities and at the same time run business in SVG. Check on the broker carefully before any signing in is done, revise the broker’s regulation status, its authorization claims, news and reputation by reading reviews and checking on the legit documentation. As well, you can find and verify company at the regularly updated list of Brokers to avoid or submit your inquiry. Then if you found a broker at the list you better stay away from any cooperation or trading with them at all cost, as listing consists of mainly non-regulated and offshore firms. The final thoughts conclude the traders and investors should ensure a clear understanding of the procedures and risks involved while the company or another offering the forex trading opportunity and not properly licensed. As of the recent growth of international trend of Forex, trading investors are urged to exercise caution before any sign in or acceptance of the offering. Any broker declares its regulation by FSA SVG, in substance, made a false claim. As it became clear now, why the SVG incorporated firms disclose information on the risks, in particular, the possibilities of loss, therefore we recommend avoiding offering from the brokers mentioning their SVG FCA regulated status. In order to become a trustable company in providing financial and trading service, the firm should be sharply regulated and retain a sufficient level of reputation through its operational history. Definitely, it is not a gaining point towards trust to the brokerage that is an offshore based company and was established with a low registration requirement while none of the protective principles followed. The security of funds always stands first, therefore, you better consider brokerages from other jurisdictions that maintain a sustainable level of financial and investment services and forex trading in particular through a protective set of rules. Check out the list of regulated and recommended brokers by the link.